When I click on it I want it to open in a folder of my choice instead of the default, which is the users root folder. Easy enough, but unfortunately you can’t just change the “Start in:” folder on the shortcut. You must change the “Target:” value instead. Every time I go to change the shortcut I mess it up because of the somewhat complicated target string. Note that the new command goes between the last single and double quote of the original string. 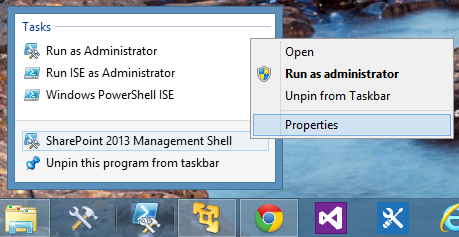 Since all we are doing here is adding a PowerShell command, you could technically add any other commands you wanted or even run a script if you want. You have a SharePoint Publishing site with anonymous access enabled. Users are able to get to most of the pages and document libraries that you have exposed via anonymous access, but you have one or more lists which stubbornly prompt the user to login. This problem also commonly occurs on anonymous access Blog sites living under a Publishing site where users are prompted to login to post comments. That is because comments are stored in a SharePoint list and this problem is related to SharePoint lists exposed to anonymous users. Many solutions to this problem suggest disabling the Site Collection feature ViewFormPagesLockdown as this is enabled by default on Publishing sites. This is a bad idea as it exposes various pages such as /layouts/viewlsts.aspx, more commonly known as Site Contents, that you do not want to give anonymous users access to. ViewFormPagesLockdown on an anonymous site is a good thing, but it does cause us grief with lists we want to expose anonymously. I have created a PowerShell script below that enables anonymous access on a list living under a publishing site without having to resort to disabling the ViewFormPagesLockdown feature. Write-Host -f Green "Found site $($web.Title)"
Write-Host -f Green "Found list $($list.Title)"
Write-Host -f Yellow "Existing permissions: $($list.AnonymousPermMask64)"
Write-Host -f Yellow "Updated permissions. : $($list.AnonymousPermMask64)"
Write-Host -f Green "Anonymous access enabled on list"
Write-Host -f Red "List $($ListDisplayName) not found"
Note that in order to enable these permissions it is necessary for the script to break permission inheritance on the list. After running the above script your list should be accessible anonymously and you didn’t have to disable the ViewFormPagesLockdown feature. I recently came across a situation where I needed to remove the “Merge Documents” and “Relink Documents” views on a forms library so that the users wouldn’t hurt themselves. 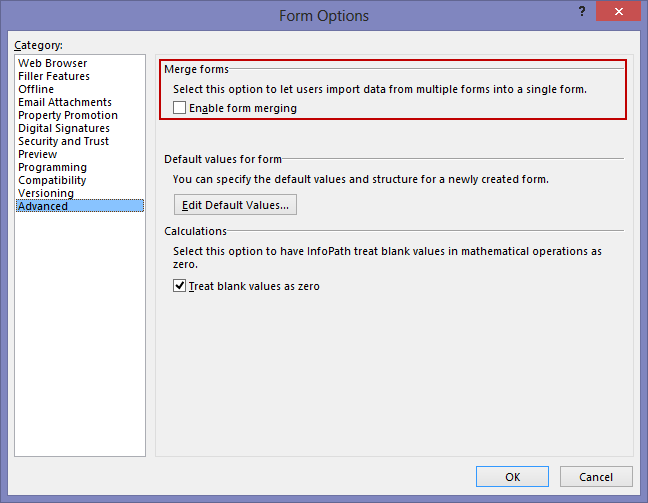 I think the “Merge Documents” link is created because of the setting shown below in InfoPath Form Options although I have not verified this. These views do not show up in the Views section at the bottom of the Library Settings so there is no easy way to delete them. I checked in SharePoint Manager 2013 and could see the views but not delete them for some reason even though I had permissions. So I wrote the following PowerShell script to delete the views. Write-Host "Found view $($view.Title). Deleting view..."
Write-Host "View $($viewName) not found"
You could argue that they should not be deleted because they have some useful reason for being there and that is entirely possible, but in this instance I needed to zap them since merging of the InfoPath documents would have caused havoc with the clients business process and life is too short to spend time explaining relinking to an end user. 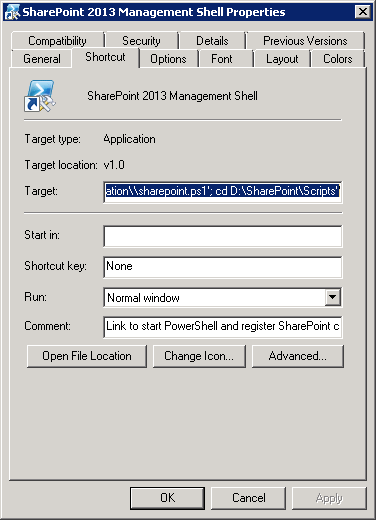 When migrating a content database from a SharePoint 2010 web application using classic-mode authentication to a SharePoint 2013 web application using claims-based authentication Microsoft recommends converting the web application and all its content databases to claims-based authentication in SharePoint 2010 first and then migrating the web application and all its content databases over to SharePoint 2013. 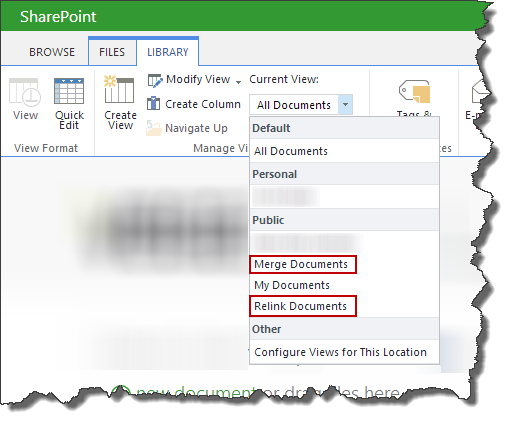 See Migrate from classic-mode to claims-based authentication in SharePoint 2013 for all the painful details. Convert the web application to claims-based authentication in the Test farm (unless you feel this is something you want to do in your Production farm just to keep your job interesting). If you are the kind of person who craves this kind of excitement in their lives stop reading now because you will be disappointed by the simplicity of the process described below. # need to iterate through your databases and add them all. The second easier method above gives you the same results as the first laborious process but with considerably less pain. 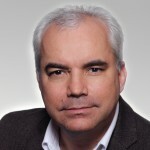 Thanks to Steve Peschka for providing the PowerShell commands above and Chris Weldon for making the PowerShell commands behave in a civilized manner. A couple of points to note from their blog posts, first do not change the name of the parameter “$arguments” to anything else as this causes problems. Second, if you use the SharePoint farm account as I did above then make sure the second parameter to the MigrateUsersToClaims method is set to $false. For migrations Microsoft always talks about Detach/Attach for migrating databases but I prefer Backup/Restore, but that is something I will discuss in more detail in another post.